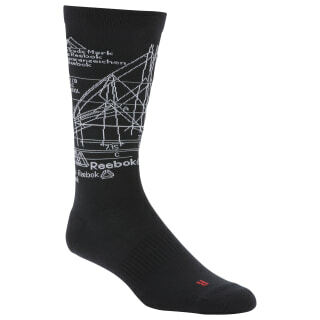 These crew-length socks provide comfort during any workout. Made of soft stretchy yarn, they have anti-fold lines to help prevent bunching. Mesh panels allow air flow to help feet stay cool.